Welcome to Kanglaenterprises.com ("Site"). This Site is provided to you by Kangla Enterprises Private Limited and its affiliates subject to the following conditions. By visiting this Site, you accept the following conditions. Please read them carefully. In addition, when you use any current or future Kangla Broadband service or business you also will be subject to the guidelines, terms and agreements ("Terms") applicable to such service or business. If these conditions are inconsistent with such Terms, the Terms will control. PRIVACY Please review our Privacy Notice, which also governs your visit to this Site to understand our practices. The personal information / data provided to us by you during the course of usage of the Site will be treated as strictly confidential and in accordance with the Privacy Notice and applicable laws and regulations. If you object to your information being transferred or used, please do not use the Site. COMMUNICATIONS When you visit this Site or send e-mails to us, you are communicating with us electronically. You will be required to provide a valid phone number while placing an order or requesting for a price quote with us. We may communicate with you by e-mail, SMS, phone call or by posting notices on the Site or by any other mode of communication. You also agree that sellers may communicate with you through phone, SMS or e-mail if you have expressly agreed to being contacted by sellers while using the Site. For contractual purposes, you consent to receive communications including SMS, e-mail or phone calls from us or the seller with respect to your order or in relation to the use of the Site. E-PLATFORM FOR COMMUNICATION You agree, understand and acknowledge that the Site is an online platform that enables you to purchase products listed on the Site at the price indicated therein or request for price quotes of products sold by sellers offline through their physical stores. You further agree and acknowledge that Kangla Enterprises is only a facilitator and is not and cannot be a party to or control in any manner any transactions offline or on the Site. Accordingly, the contract of sale of products on the Site shall be a strictly bipartite contract between you and the sellers. We will do our utmost to ensure that availability of the Site will be uninterrupted and that transmissions will be error-free. However, due to the nature of the internet, this cannot be guaranteed. Also, your access to the Site may also be occasionally suspended or restricted to allow for repairs, maintenance, or the introduction of new facilities or services at any time without prior notice. We will attempt to limit the frequency and duration of any such suspension or restriction. All content included on this Site, such as text, graphics, logos, button icons, images, audio clips, digital downloads, data compilations, and software, is the property of Kangla Enterprises, its affiliates or its content suppliers and is protected by India and international copyright, authors' rights and database right laws. The compilation of all content on this Site is the exclusive property of Kangla Enterprises and/or its affiliates and is protected by India and international copyright, authors' rights and database right laws. All software used on this Site is the property of Kangla Enterprises, its affiliates or its software suppliers and protected by India and international copyright and authors' right laws. You may not systematically extract or re-utilise parts of the contents of the Site without Kangla Enterprises and/or its affiliates' (as may be applicable) express written consent. In particular, you may not utilise any data mining, robots, or similar data gathering and extraction tools to extract (whether once or many times) for re-utilisation of any substantial parts of this Site, without Kangla Enterprises and/or its affiliates' (as may be applicable) express written consent. You may also not create and/ or publish your own database that features substantial (e.g. : prices and product listings) parts of this Site without Kangla Enterprises and/or its affiliates' (as may be applicable) express written consent. Click here to see a non-exhaustive list of Kangla Enterprises trademarks. In addition, Kangla Enterprises graphics, logos, page headers, button icons, scripts, service names and other marks indicated on our Site are trademarks, or trade dress of Kangla Enterprises Private Limited. Kangla Enterprises's trademarks and trade dress may not be used in connection with any product or service that is not Kangla Enterprises's, in any manner that is likely to cause confusion among customers, or in any manner that disparages or discredits Kangla Enterprises. All other trademarks not owned by Kangla Enterprises that appear on this Site are the property of their respective owners, who may or may not be affiliated with, connected to, or sponsored by Kangla Enterprises. One or more patents owned by Kangla Enterprises may apply to this Site and to the features and services accessible via the Site. Portions of this Site may operate under license of one or more patents. Click here to see a non-exhaustive list of applicable Kangla Enterprises patents and applicable licensed patents. Kangla Enterprises Private Limited grants you a limited license to access and make personal use of this Site and not to download (other than page caching) or modify it, or any portion of it, except with express prior written consent of Kangla Private Limited and/or its affiliates, as may be applicable. This license does not include any resale or commercial use of this Site or its contents; any collection and use of any product listings, descriptions, or prices; any derivative use of this Site or its contents; any downloading or copying of account information for the benefit of another seller; or any use of data mining, robots, or similar data gathering and extraction tools. This Site or any portion of this Site (including but not limited to any copyrighted material, trademarks, or other proprietary information) may not be reproduced, duplicated, copied, sold, resold, visited, or otherwise exploited for any commercial purpose without express prior written consent of Kangla Enterprises Private Limited and/or its affiliates, as may be applicable. You may not frame or utilize framing techniques to enclose any trademark, logo, or other proprietary information (including images, text, page layout, or form) of Kangla Enterprises without express written consent. You may not use any meta tags or any other "hidden text" utilizing Kangla Enterprises Private Limited or its affiliate's name or trademarks without the express written consent of Kangla Enterprises Private Limited and/or its affiliates, as may be applicable. Any unauthorized use terminates the permission or license granted by Kangla Enterprises Private Limited and/or its affiliates, as may be applicable. You are granted a limited, revocable, and nonexclusive right to create a hyperlink to the home page of this Site so long as the link does not portray Kangla Enterprises Private Limited, this Site or their affiliates, or their products and services in a false, misleading, derogatory, or otherwise offensive manner. You may not use any Kangla Enterprises logo or other proprietary graphic or trademark as part of the link without express written permission of Kangla Enterprises Private Limited and/or its affiliates, as may be applicable. You must not use the Site in any way that causes, or is likely to cause, the Site or access to it to be interrupted, damaged or impaired in any way. You understand that you, and not the Site, are responsible for all electronic communications and content sent from your computer to us and you must use the Site for lawful purposes only. You must not use the Site for any of the following: For fraudulent purposes, or in connection with a criminal offense or other unlawful activity; To send, use or reuse any material that does not belong to you; or is illegal, offensive (including but not limited to material that is sexually explicit content or which promotes racism, bigotry, hatred or physical harm), deceptive, misleading, abusive, indecent, harassing, blasphemous, defamatory, libelous, obscene, pornographic, pedophilic or menacing; ethnically objectionable, disparaging or in breach of copyright, trademark, confidentiality, privacy or any other proprietary information or right; or is otherwise injurious to third parties; or relates to or promotes money laundering or gambling; or is harmful to minors in any way; or impersonates another person; or threatens the unity, integrity, security or sovereignty of India or friendly relations with foreign States; or objectionable or otherwise unlawful in any manner whatsoever; or which consists of or contains software viruses, political campaigning, commercial solicitation, chain letters, mass mailings or any "spam"; or To cause annoyance, inconvenience or needless anxiety. Users may post reviews, comments, photos, and other content; send communications; and submit suggestions, ideas, comments, questions, or other information, so long as the content is not illegal, obscene, threatening, defamatory, invasive of privacy, infringing of intellectual property rights, or otherwise impermissible, injurious to third parties or objectionable and does not consist of or contain software viruses, political campaigning, commercial solicitation, chain letters, mass mailings, or any form of "spam." You may not use a false e-mail address, impersonate any person or entity, or otherwise mislead as to the origin of content. Kangla Enterprises reserves the right (but not the obligation) to remove or edit any content that in the sole judgment of Kangla Enterprises violates these Conditions of Use and, or terminate your permission to access or use this Site. If you do post content or submit material, and unless we indicate otherwise, you grant Kangla Enterprises Private Limited and/or its affiliates a nonexclusive, royalty-free, perpetual, irrevocable, and fully sublicensable right to use, reproduce, modify, adapt, publish, translate, create derivative works from, distribute, and display such content throughout the world in any media. You grant Kangla Enterprises Private Limited and/or its affiliates and sub-licensees the right to use the name that you submit in connection with such content, if they choose. You represent and warrant that you own or otherwise control all of the rights to the content that you post or you otherwise provide on or through the Site: that, as at the date that the content or the material is submitted to the Site: the content and the material is accurate; that use of the content you supply does not breach any applicable of these Conditions of Use and will not cause injury to any person or entity (including that the content is not defamatory); that the content is lawful. You will indemnify Kangla Enterprises Private Limited and/or its affiliates for all claims brought by a third party against it or its affiliates arising our of or in connection with any of these warranties. Kangla Enterprises has the right (but not the obligation) to monitor and edit or remove any activity or content. Kangla Enterprises takes no responsibility and assumes no liability for any content posted by you or any third party. You agree that the rights you grant above are irrevocable during the entire period of protection of your intellectual property rights associated with such content and material. You agree to waive your right to be identified as the author of such content and your right to object to derogatory treatment of such content. You agree to perform all further acts necessary to perfect any of the above rights granted by you to Kangla Enterprises Private Limited, including the execution of deeds and documents, at its request. Kangla Enterprises Private Limited and its affiliates respect the intellectual property of others. If you believe that your intellectual property rights have been used in a way that gives rise to concerns of infringement, please follow our Notice and Procedure for Making Claims of Intellectual Property Rights Infringement outlined below. You shall indemnify and hold harmless Kangla Enterprises Private Limited, its subsidiaries, affiliates and their respective officers, directors, agents and employees, from any claim or demand, or actions including reasonable attorney's fees, made by any third party or penalty imposed due to or arising out of your breach of these Conditions of Use or any document incorporated by reference, or your violation of any law, rules, regulations or the rights of a third party. You hereby expressly release Kangla Enterprises Private Limited and/or its affiliates and/or any of its officers and representatives from any cost, damage, liability or other consequence of any of the actions/inactions of the sellers and specifically waiver any claims or demands that you may have in this behalf under any statute, contract or otherwise. We will not be responsible for any business loss (including loss of profits, revenue, contracts, anticipated savings, data, goodwill or wasted expenditure) or any other indirect or consequential loss that is not reasonably foreseeable to both you and us when you commenced using the Site (or communicating with the seller) or when a contract for the sale of goods between you and the seller was formed. We reserve the right to make changes to our Site, policies, and these Conditions of Use at any time. You will be subject to the policies and Conditions of Use in force at the time that you use the Site or that you order goods from us, unless any change to those policies or these conditions is required to be made by law or government authority (in which case it will apply to orders previously placed by you). If any of these conditions is deemed invalid, void, or for any reason unenforceable, that condition will be deemed severable and will not affect the validity and enforceability of any remaining condition. Kangla Enterprises attempts to be as accurate as possible. However, Kangla Enterprises does not warrant that product descriptions or other content or such other information of this Site is accurate, complete, reliable, current, or error-free. THIS SITE AND ALL INFORMATION, CONTENT, MATERIALS, PRODUCT RELATED INFORMATION (INCLUDING SOFTWARE) AND SERVICES INCLUDED ON OR OTHERWISE MADE AVAILABLE TO YOU THROUGH THIS SITE ARE PROVIDED BY Kangla Enterprises ON AN "AS IS" AND "AS AVAILABLE" BASIS, UNLESS OTHERWISE SPECIFIED IN WRITING. Kangla Enterprises MAKES NO REPRESENTATIONS OR WARRANTIES OF ANY KIND, EXPRESS OR IMPLIED, AS TO THE OPERATION OF THIS SITE OR THE INFORMATION, CONTENT, MATERIALS, PRODUCT RELATED INFORMATION (INCLUDING SOFTWARE) OR SERVICES OR PRICE INCLUDED ON OR OTHERWISE MADE AVAILABLE TO YOU THROUGH THIS SITE, UNLESS OTHERWISE SPECIFIED IN WRITING. YOU EXPRESSLY AGREE THAT YOUR USE OF THIS SITE IS AT YOUR SOLE RISK AND ARE USING YOUR BEST AND PRUDENT JUDGMENT BEFORE ENTERING INTO ANY TRANSACTIONS THROUGH THE SITE. WE SHALL NEITHER BE LIABLE NOR RESPONSIBLE FOR ANY ACTIONS OR INACTIONS OF SELLERS OR ANY BREACH OF CONDITIONS, REPRESENTATIONS OR WARRANTIES BY THE SELLERS OR MANUFACTURERS OF THE PRODUCTS AND HEREBY EXPRESSLY DISCLAIM AND ANY ALL RESPONSIBILITY AND LIABILITY IN THAT REGARD. WE SHALL NOT MEDIATE OR RESOLVE ANY DISPUTE OR DISAGREEMENT BETWEEN YOU AND THE SELLERS OR MANUFACTURERS OF THE PRODUCTS. WE FURTHER EXPRESSLY DISCLAIM ANY WARRANTIES OR REPRESENTATIONS (EXPRESS OR IMPLIED) IN RESPECT OF QUALITY, SUITABILITY, ACCURACY, RELIABILITY, COMPLETENESS, TIMELINESS, PERFORMANCE, SAFETY, MERCHANTABILITY, FITNESS FOR A PARTICULAR PURPOSE, OR LEGALITY OF THE PRODUCTS LISTED OR DISPLAYED OR TRANSACTED OR THE CONTENT (INCLUDING PRODUCT INFORMATION AND/OR SPECIFICATIONS) ON THE SITE. WE DO NOT IMPLICITLY OR EXPLICITLY SUPPORT OR ENDORSE THE SALE OR PURCHASE OF ANY PRODUCTS ON THE SITE OR THOSE OFFERED BY SELLERS OFFLINE. AT NO TIME SHALL ANY RIGHT, TITLE OR INTEREST IN THE PRODUCTS SOLD THROUGH OR DISPLAYED ON THE SITE OR THROUGH THE OFFLINE STORES BY SELLERS VEST WITH Kangla Enterprises NOR SHALL Kangla Enterprises HAVE ANY OBLIGATIONS OR LIABILITIES IN RESPECT OF ANY TRANSACTIONS. TO THE FULL EXTENT PERMISSIBLE BY APPLICABLE LAW, Kangla Enterprises DISCLAIMS ALL WARRANTIES, EXPRESS OR IMPLIED, INCLUDING, BUT NOT LIMITED TO, IMPLIED WARRANTIES OF MERCHANTABILITY AND FITNESS FOR A PARTICULAR PURPOSE. Kangla Enterprises DOES NOT WARRANT THAT THIS SITE; INFORMATION, CONTENT, MATERIALS, PRODUCT RELATED INFORMATION (INCLUDING SOFTWARE) OR SERVICES INCLUDED ON OR OTHERWISE MADE AVAILABLE TO YOU THROUGH THIS SITE; THEIR SERVERS; OR ELECTRONIC COMMUNICATIONS SENT FROM Kangla Enterprises ARE FREE OF VIRUSES OR OTHER HARMFUL COMPONENTS. Kangla Enterprises WILL NOT BE LIABLE FOR ANY DAMAGES OF ANY KIND ARISING FROM THE USE OF THIS SITE OR FROM ANY INFORMATION, CONTENT, MATERIALS, PRODUCT RELATED INFORMATION (INCLUDING SOFTWARE) OR SERVICES OR PRICE INCLUDED ON OR OTHERWISE MADE AVAILABLE TO YOU THROUGH THIS SITE, INCLUDING, BUT NOT LIMITED TO DIRECT, INDIRECT, INCIDENTAL, PUNITIVE, AND CONSEQUENTIAL DAMAGES, UNLESS OTHERWISE SPECIFIED IN WRITING. Any dispute relating in any way with your visit to this Site shall be submitted to the exclusive jurisdiction of the courts at Delhi. By visiting this Site, you agree that the laws of India without regard to principles of conflict of laws, will govern these Conditions of Use and any dispute of any sort that might arise between you and Kangla Enterprises. SITE POLICIES, MODIFICATION, AND SEVERABILITY Please review our other policies posted on the Site. These policies also govern your visit to this Site. We reserve the right to make changes to our Site, policies, and these Conditions of Use at any time, in our sole discretion. If any of these conditions shall be deemed invalid, void, or for any reason unenforceable, that condition shall be deemed severable and shall not affect the validity and enforceability of any remaining condition. Click here for the Trademark copyright and design policy. This Site is operated by Kangla Enterprises Private Limited. For the Kanglaenterprises.com website, you could contact us by visiting our contact page. Please read these conditions carefully before placing an order for any products with the Sellers ("We" or "Our" or "Us", wherever applicable) on Kanglaenterprises.com (the "Site"). By using the Site, you signify your agreement to be bound by these conditions. In addition, when you use any current or future Site's service, you will also be subject to the terms, guidelines and conditions applicable to that service ("Terms"). If these Conditions of Sale are inconsistent with such Terms, the Terms will control. These Conditions of Sale constitute an electronic record within the meaning of applicable law. This electronic record is generated by a computer system and does not require any physical or digital signatures. 1. Conditions Relating to the Sale of Products to You This section deals with conditions relating to the sale of products on the Site by us to you. 2. Our Contract Your order is an offer to us to buy the product(s) in your order. When you place an order to purchase a product from us, you will receive an e-mail confirming receipt of your order and containing the details of your order (the "Order Confirmation E-mail"). The Order Confirmation E-mail is acknowledgement that we have received your order, and does not confirm acceptance of your offer to buy the product(s) ordered. We only accept your offer, and conclude the contract of sale for a product ordered by you, when the product is dispatched to you and an e-mail confirmation is sent to you that the product has been dispatched to you (the "Dispatch Confirmation E-mail"). If your order is dispatched in more than one package, you may receive a separate Dispatch Confirmation E-mail for each package, and each Dispatch Confirmation E-mail and corresponding dispatch will conclude a separate contract of sale between you and us for the product(s) specified in that Dispatch Confirmation E-mail. Your contract is with us (the Sellers) and you confirm that product(s) ordered by you are purchased for your internal/personal purpose and not for re-sale. You can cancel your order for a product at no cost any time before we send the Dispatch Confirmation E-mail relating to that product. Please note that we sell products only in quantities which correspond to the typical needs of an average household. This applies both to the number of products ordered within a single order and the placing of several orders for the same product where the individual orders comprise a quantity typical for a normal household. 3. Returns Please review our Returns Policy, which applies to products sold by us. 4. Pricing and availability We list availability information for products sold by us on the Site, including on each product information page. Beyond what we say on that page or otherwise on the Site, we cannot be more specific about availability. Please note that dispatch estimates are not guaranteed dispatch times and should not be relied upon as such. As we process your order, you will be informed by e-mail if any products you order turn out to be unavailable. Despite our efforts, a small number of products in our catalogue may be mispriced. Rest assured, however, that we verify prices as part of our dispatch procedures. If a product's correct price is lower than our stated price, we charge the lower amount and send you the product. If a product's correct price is higher than our stated price, we will, at our discretion, either contact you for instructions before dispatch or cancel your order and notify you of such cancellation. For more details, please review our Pricing and Availability policy and our Availability Guide, both of which apply to products ordered from us. All prices are inclusive of VAT unless stated otherwise. 5. Taxes You shall be responsible for payment of all fees/costs/charges associated with the purchase of products from us and you agree to bear any and all applicable taxes/Service Tax/VAT, cesses etc. levied thereon. 6. Children Use of the Site is available only to persons who can form a legally binding contract under the Indian Contract Act, 1872. If you are a minor i.e. under the age of 18 years, you may purchase only with the involvement of a parent or guardian. 7. Communications When you send e-mails to us, you are communicating with us electronically. You will be required to provide a valid phone number while placing an order with us. We may communicate with you by e-mail, SMS, phone call or by posting notices on the Site or by any other mode of communication. For contractual purposes, you consent to receive communications including SMS, e-mails or phone calls from us with respect to your order. 8. Losses We will not be responsible for any business loss (including loss of profits, revenue, contracts, anticipated savings, data, goodwill or wasted expenditure) or any other indirect or consequential loss that is not reasonably foreseeable to both you and us when a contract for the sale of goods by us to you was formed. 9. Alteration or Amendments to the Conditions We reserve the right to make changes to our policies, and these Conditions of Sale at any time. You will be subject to the policies and Conditions of Sale in force at the time you order goods from us, unless any change to those policies or these conditions is required to be made by law or government authority (in which case it will apply to orders previously placed by you). If any of these conditions is deemed invalid, void, or for any reason unenforceable, that condition will be deemed severable and will not affect the validity and enforceability of any remaining condition. 10. Events beyond our reasonable control We will not be held responsible for any delay or failure to comply with our obligations under these conditions if the delay or failure arises from any cause which is beyond our reasonable control. This condition does not affect your statutory rights. 11. Waiver If you breach these conditions and we take no action, we will still be entitled to use our rights and remedies in any other situation where you breach these conditions. 12. Governing Law and Jurisdiction These conditions are governed by and construed in accordance with the laws of India. You agree, as we do, to submit to the exclusive jurisdiction of the courts at Imphal. Best Quality products at affordable price range. Best in after sales service. 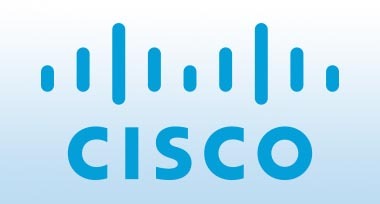 We have experienced tech support staff for any problem you have. 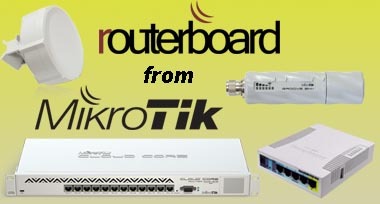 We are now authorized Reseller of Mikrotik Products in India. We are now authorised distributor of SKYCOM Products in India. 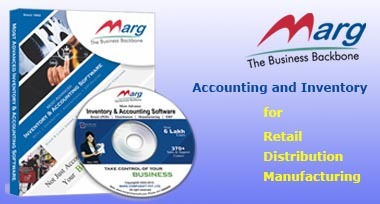 We are now Channel Partner of Marg, Accounting and Inventory Software.